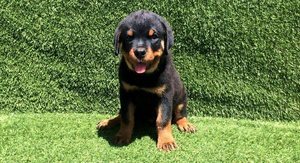 We have a large litter of Rottweiler pups for sale, ready for their new forever homes now. Both mum and dad can be seen. all pups will leave kc reg and will come with all paperwork. Both parents are here for you to meet. They are also both registered and pedigrees as well. All pups have been Flea and wormed, vet checked and have all had their first vaccination. Leaves with puppy pack, food bowls toys blanket harness the lot!